Have you ever wondered if a Hollywood-style teeth was possible for your own smile? Do you worry that cracks, chips, and stubborn stains are noticeable to casual observers? Did chips and cracks appear on your teeth due to a recent accident and you’re unsure what to do? Thanks to the advantages and beauty of porcelain veneers, patients can cover up those surface imperfections, as well as enlighten their smile. Porcelain veneers are thin shells that are sculpted in a dental laboratory. 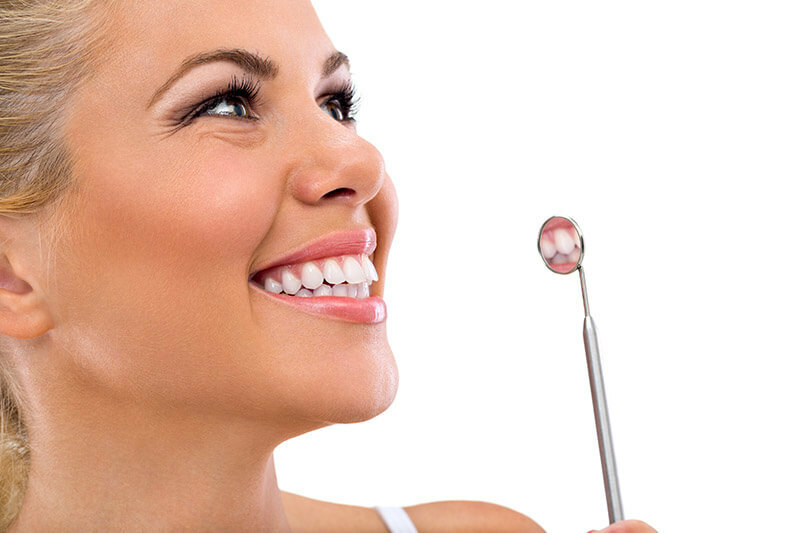 Here at Family and Implant Dentistry we have an on-call lab technician who can come in and accurately assess the size and shape of veneers you need to reach your dream smile. Before applying the veneers, a sliver of enamel will be removed from the surface of your teeth in order to make room for the veneer itself. This way, it will fit comfortably on the surface of your tooth without catching on your lips. Also, this process is painless. Once the veneers are applied, light passes through the veneer and forms a brilliant sheen. Veneers and crowns are quite different: veneers are fixed to the front of the teeth, while crowns encompass a tooth so that none of the original tooth is visible. In addition, veneers are not used for the molars/pre-molars, whereas crowns can be made to cover any tooth (though, most often used for the molars). A veneer can cover up surface flaws on the front surfaces of teeth, but heavily damaged teeth would benefit more from a crown restoration. Veneers can shape the teeth into a more pleasing appearance, whereas crowns can mimic a real tooth and protect it from further damage. Chips, cracks, and discoloration in your smile is only temporary, and can be masked thanks to porcelain veneers with Dr. Hoffman. Come see us in Lincoln, NE and schedule a consultation to discover if you qualify for this treatment. We are also available to answer your questions!